City MPG vs Highway MPG- What Affects Each? So I know that highway mpg is mostly affect by wind resistance but what are the main factors that change city mpg? Weight, Engine Efficiency?? City MPG is most affected by weight and idle fuel consumption. All the stopping and then going takes a lot of energy, and then while stopped, the car is burning fuel needlessly. The test also factors in a cold start, which wastes a lot of fuel. It would seem that aero not as big a contributor as some might think. 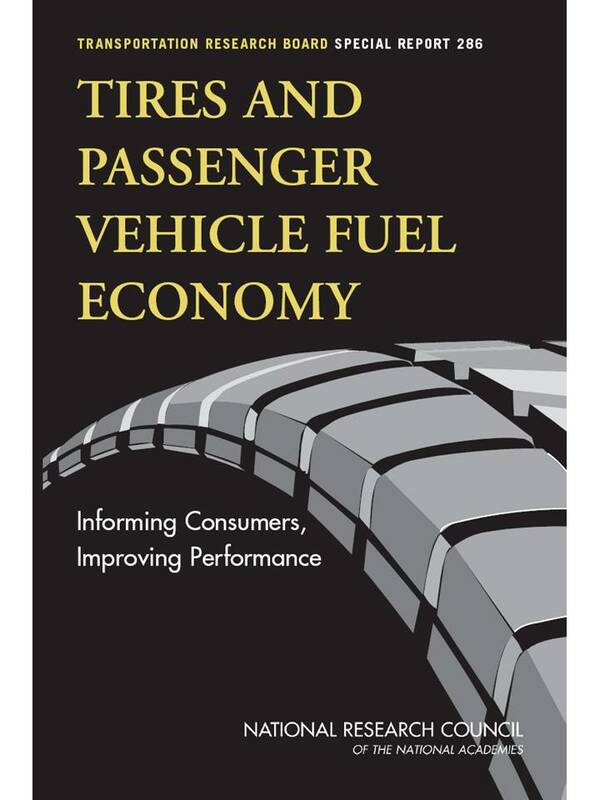 Actually, that infographic shows the vast importance of reducing load on the engine. Reducing that 11% aero loss to even 10% has a multiplying effect as we trace back the power usage to the energy source. 1% reduction in engine load will mean that the 69% 'engine loss' use gets reduced to 67%. 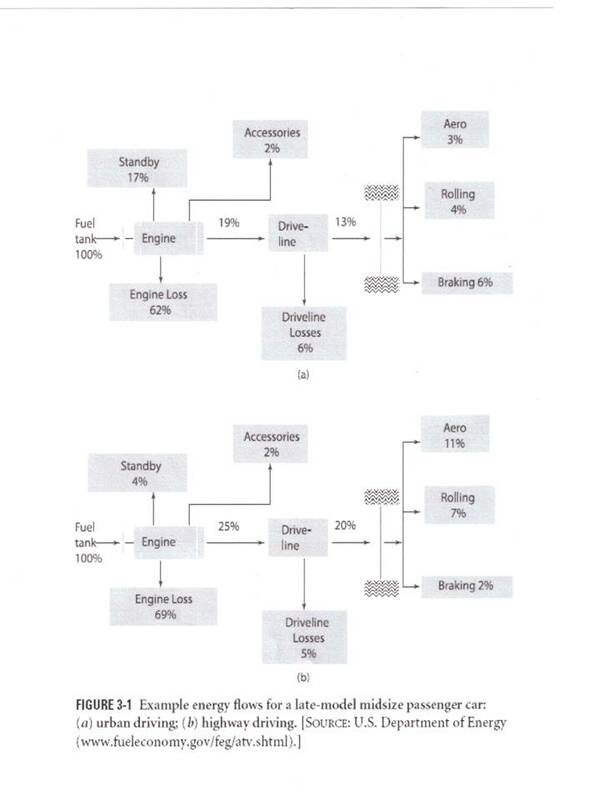 So, for a 1% engine load reduction, you get a 'free' 2% reduction from 'engine loss' for a total of ~3% less fuel used. I'm going to guess that the values shown,are for only for the EPA Mobile Sources dynamometer testing protocol. (which includes stops,idling,accelerations,decelerations). *Real world,steady-state,highway cruising can demonstrate 36% thermal efficiency at the flywheel for an ICE. (higher for diesel). *Powertrain losses are only 4% (under power) for a non-overdrive,manual transmission. *Of the 'available' tractive power,on the highway,at 100 km/h,aerodynamic demands can constitute 80% of the overall road load. *With rolling resistance absorbing the remaining 20%. For decades I've considered the (b) table to be extremely intellectually dishonest.Almost conspiratorial in downplaying the significance to aerodynamic drag at highway velocity. Actually of the 20% of the total energy that actually makes it to your drive axle, more than 50% is lost to aero drag. IF coroplast & duct tape kept a vehicle from ending in an auto wrecking yard, would that be considered an increase in ICE efficiency? Maybe, if the coroplast & duct tape had the same colors.... or florescent colors.... lots of metal flake? I locked myself out of my car while the engine was running. It took 50 minutes before I could get my spare key from home & turn the engine off. Days later, after filling, this individual gas tank, in my normal 42MPG average for this car, got.....43MPG. 50 minutes idle in the 7.3 liter is about 1/3 quart American of diesel. Or about the error I get refueling it because of tank and filler tube irregularities. I suspect an anomaly in your data. The difference — in what matters —is the amount of time at steady state per engine hour. The simple test is to find “best” fuel economy highway at under 60-mph while on cruise control. A 100-mile loop back to the same fuel station pump. Re-fill to first auto shutoff. While on town miles, “never idle and never stop” is the mantra. Plan all trips. Eliminate cold starts. Combine all errands. I did this several years back and brought my one-ton pickup to 22-mpg city for over 1,000-miles. An improvement of 20%. 25-highway was an established norm. The point to the exercise is to know what’s possible. With no other changes (no stunt driving). A variation of only 13% between highway and city is pretty low. The guy who is SERIOUS about fuel economy in a one ton Dodge diesel got into the mid 40-mpg range using all available driving techniques (Diesel Dave). The only competition is against one’s self. Keep records of every fillup (Fuelly) and get the trend started the right direction. Fewer trips over fewer miles to accomplish THE EXACT SAME ENDS is how it works. Thanks for the link, CapriRacer. It’s the cold engine + stop/start driving that really distinguishes the difference between town & country for a given passenger vehicle. On-highway ONLY (such as long distance trucks) are where aero benefits really pay (modifications to existing). Engine time on the highway versus engine time in metro traffic is HEAVILY skewed to the latter for nearly everyone. FE is a collection of changes. But the biggest is Operator Usage. And one CANNOT separate out aero or other changes unless baseline records and repeatable testing procedure is established. Until one understands the relationship between AVERAGE MPH and AVERAGE MPG most efforts won’t bear fruit. Last edited by slowmover; 03-04-2019 at 03:11 AM..